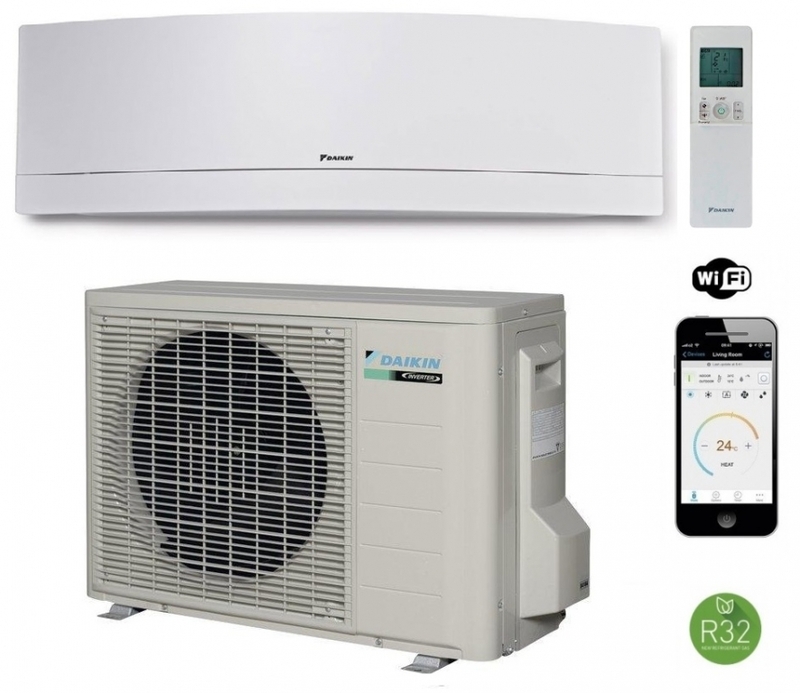 The Daikin Emura FTXJ50MW wall mounted system sets new standards for wall mounted air conditioning heat pump systems with their stunning sleek deign of the indoor unit this model being the matt crystal white version. The Emura models have weekly timer facilities available on the hand held remote control which very view manufacturers offer, also included is Wi-Fi control. The indoor units also have the capability to be fitted to multi systems as well as in this case the single split system.